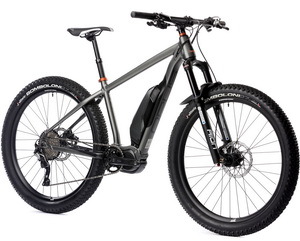 What do you get when you harness leading-edge electric bike technology to plus-size tires, aggressive geometry and alloy components? Powered by the new E-8000 Shimano STePS system, specially designed for trail use, the Pronghorn gets you anywhere you dare to go…and fast. So hang on and enjoy the adventure! E8000 E-MTB system for ultimate trail support with natural feel. Push your limits with more speed and confidence. • Designed specifically to give you that natural feel of riding a normal MTB. • Weighs only 2.8kg, one of the lightest motors on the market. • Stable, smooth intuitive power for improved bike handling over every section of trail. • Solidly supports speeds up to 32 km/h. 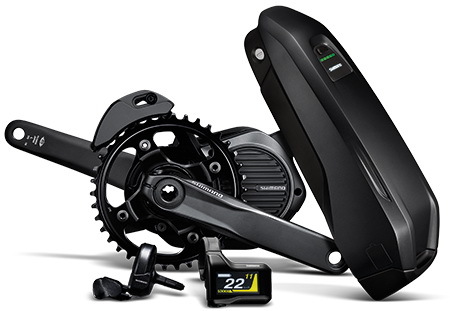 • Drivetrain components designed to work in sync with each other for unparalleled effectiveness and reliability. • Spec’d with SHIMANO Hollowtech II bottom bracket for added strength and direct power transfer. • E-MTB specific Deore XT crankset. 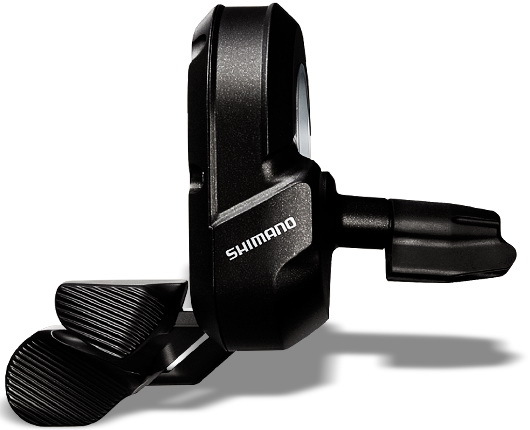 Shorter 165 mm crank arm minimizes pedal strikes to maintain smooth cadence and motor assistance. 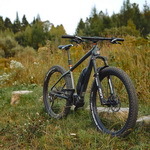 • The e-MTB Switch Unit (SW-E8000-L) is ergonomically designed for the specific demands of MTB riding such as riding through tight singletrack and bumpy terrain. • Accurate, smooth shifting between power-assist modes regardless of weather or terrain conditions. 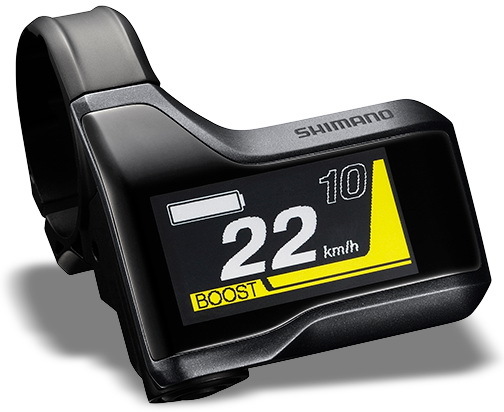 • Switch between Boost, Trail, Eco and Walk settings in a flash during the ride. • Shifters incorporate the same design and shifting feel as XT Di2. • Further personalize your support settings by choosing Dynamic, Explorer or Custom Mode to perfectly match your riding style and intended terrain. • Computer specifically designed to be compact and durable for MTB riding. • Easy-to-read LCD - each support setting assigned a unique colour. • Sleek bar-mounted computer with dynamic LCD display shows gear number, power assist mode and battery range information. • Wirelessly customise your preferences via Bluetooth. • MTB-dedicated compact, low profile design for improved impact and vibration resistance. • High capacity long-lasting Li-Ion battery of 504 Wh to cover more territory. • Supported travel up to 100 km on one charge. • 1,000 charge cycles with no significant power loss.